Scott Lonardo is a seasoned intellectual property litigator and counselor with a focus on litigation and global enforcement of intellectual property rights. Mr. Lonardo has handled trademark, trade dress, domain name, trade secret, patent, and copyright disputes in many forums, including federal district and appellate court, the Trademark Trial and Appeal Board, and the World Intellectual Property Organization. Prior to Pranger, Mr. Lonardo was Of Counsel at Orrick, Herrigton & Sutcliffe LLP where he engaged in complex IP litigation, including trial and appellate work. 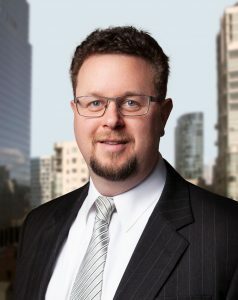 Earlier in his career he worked as an associate at a boutique IP firm in Chicago, Illinois, where he focused on trademark litigation and prosecution. Mr. Lonardo has represented companies of all sizes, including social media, technology, electronic design, and healthcare companies. In addition to his law firm experience, Mr. Lonardo clerked for the Honorable Kathleen M. O’Malley both at the U.S. Court of Appeals for the Federal Circuit and at the U.S. District Court for the Northern District of Ohio.